BANGKOK—Asian stock markets were mostly lower on Wednesday as data suggesting a slowdown in China raised concerns that its economy might not have the momentum needed to help sustain a global recovery. In Japan, export-reliant companies like Toyota Motor Corp. felt pressure as the dollar gave up some of its recent gains against the yen. The Nikkei 225 index fell 0.2 percent to 10,120.63. South Korea's Kospi index dropped 0.3 percent to 2,035.34. In Australia, where economic growth is tightly bound to sales of its raw materials to China, the S&P/ASX 200 was 0.1 percent lower at 4,273.80. Benchmarks in Singapore and Indonesia also fell. Hong Kong's Hang Seng was flat at 20,885.39. 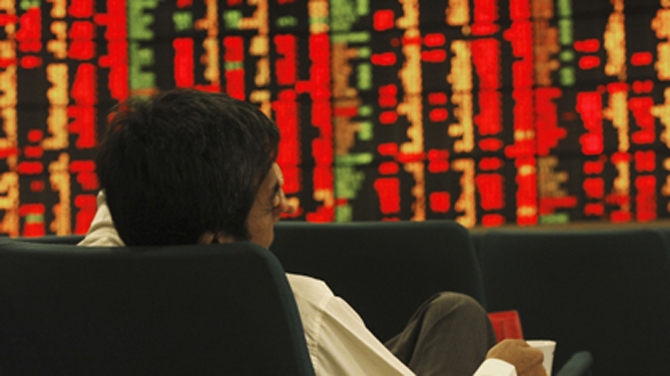 Mainland Chinese shares rose. Worries over the pace of the slowdown in the world's No. 2 economy were fueled by comments Tuesday from mining giant BHP Billiton, which warned that Chinese demand for iron ore, which is used for making steel, was flattening. “We believe that China is slowing but the deceleration will continue to be gradual,” analysts said in an email. The weaker demand for iron ore hurt some of the region's major steelmakers. Japan's Nippon Steel Corp. fell 1.7 percent and JFE Holdings Inc. tumbled 2.5 percent. South Korea's POSCO shed 2.3 percent. On Wall Street, the Dow Jones industrial average fell 0.5 percent to 13,170.19. The Standard & Poor's 500 fell 0.3 percent to 1,405.52. The Nasdaq composite index fell 0.1 percent to 3,074.15. Benchmark crude for May delivery was up 76 cents to US $106.83 per barrel in electronic trading on the New York Mercantile Exchange. The contract fell $2.48 to $105.61 per barrel on the Nymex on Tuesday. The euro rose to $1.3277 from $1.3232 late Tuesday in New York. The dollar fell to 83.57 yen from 83.69 yen.